This post was written by our good friends at Latitude 50, who provide luxury holiday cottages in Cornwall including cottages in Daymer Bay– the perfect places to kick back, relax and offer the best that North Cornwall has to offer! Your visit to Cornwall should be perfect. From the moment you arrive until the moment you leave your entire experience should be tailor made to fit you. Whilst there are those who come to Kernow in search of excitement and adrenaline filled adventures there are also many more who are drawn to the region by the laidback lifestyle and amazing scenery. Cornwall is a place where you can slow down, take a deep breath, and enjoy life. That may mean spending some time with that special someone, or a family trip, or maybe it just boils down to a bit of ‘me time’. Regardless, your weekend in Cornwall should be an experience you never forget. There are few places in the UK that can boast the same picturesque landscapes as Cornwall and they are at their most breath taking in the mornings. The early birds will want to take full advantage of this by taking an early morning coastal walk to watch a magnificent Cornish sunrise from the beach. 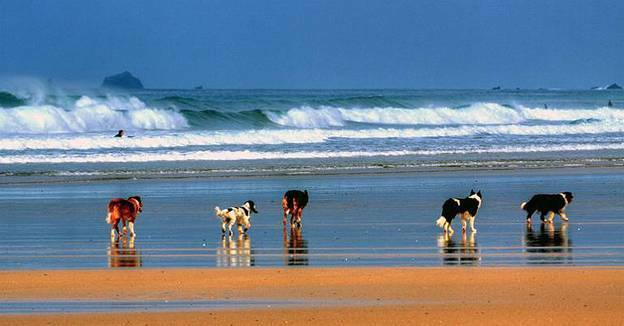 Dog owners can even bring their loyal pups along to share the view and explore the golden sand on one of the many dog-friendly beaches like Daymer Bay, perfect for dog walking in Cornwall. Of course some people will want to enjoy an old fashioned lay in, and there’s nothing wrong with that, just make sure you are up in time to enjoy a delicious al-fresco breakfast on the Blue Tomato terrace. Adventures and exploration won’t be for everyone in the family so whilst the kids hire out some bikes and take off down the Camel Valley Bike Trail why not experience true luxury by ordering a house call from a local masseuse and beauty therapist. 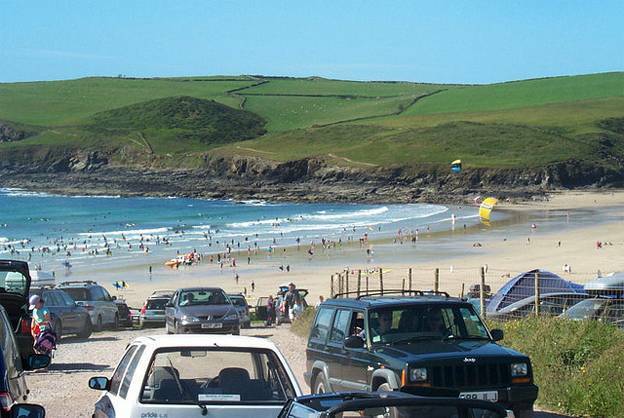 If you’re feeling a bit active you could play a few rounds of golf whilst the rest of the family enjoys surfing lessons from the qualified instructors at Polzeath Beach. 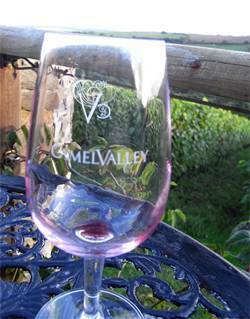 There are many opportunities to treat your palate when in Cornwall, you can even pick up a few tips by attending a Rick Stein cookery course in beautiful Padstow or train your taste buds with a wine tasting session at the Camel Valley Vineyard. There are many award winning restaurants in the area, Padstow alone is home to Jamie Oliver and Rick Stein restaurants with many more fine eateries scattered around the region, meaning you are never too far away from a fantastic meal after a busy, or lazy, day. 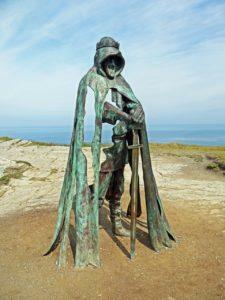 No matter what it is you are seeking you will find it in Cornwall. Few other places can lay claim to offering visitors such a diverse range of beauty and unique encounters. It is for this reason that visitors are so enchanted and return time and time again.